SEO is a process of search engine visibility of your web page or website. It is often call natural search. SEO is a continuous method with frequently Google updates that makes it little unpredictable. SEO is a rule of some basic techniques that can change time to time according to Google updates after 3 to 4 months’ time. Some advance changes also many effect along with recent trends. If you regularly follow Google updates and changes then it will be easier to apply those into your campaign and get better result. The focus should be on effective SEO strategy and it’s proper implementation. Search Engine Optimization nowadays becomes one of the most effective communications of Advertising and Marketing field among the entire medium. As many people now using internet in the world and the number is increasing it is become very essential for all the businesses to follow and apply proper Digital Marketing techniques and methods for their businesses to get the maximum outcomes out of it. Now how and why you will apply SEO for your Business? The answer is very simple. SEO or Search Engine Optimization is very important because it promote your business into the search engines like Google. You will find your identity and people can know much more about your website or business. You will rank with your important keywords into Search results and thus targeted traffic will increase. SEO help your website to get crawled and indexed by search engines. Proper SEO techniques will help you not to lose your ranking even in the time of Google Algorithm updates or change. Get ranking for some of the important keywords like ie. Website Design Company etc. will bring you huge traffic and thus the chance of lead generation will increase. Following proper Google SEO and Website guidelines will help your website to becomes more user-friendly. Also your website navigation, architecture, functionality and speed will increase. The Content and links within your website will be improved. Users will attract more for any unique information that will be shared through your site. Your social brand popularity will increase after getting good and relevant back-links from the important websites, blogs and social media accounts. There are many steps and techniques in on-page and off-page SEO. But some few are much more important than others. If anyone properly applies these following methods then the desire result will be reachable with few months’ time. You should be very serious to all your effort while doing any SEO Campaign. Any kind of bad tricks or dishonest techniques will damage your reputation in the search results. There are so many bad techniques webmasters follow to get good ranking and traffic within a quick time like link baiting, keywords stuffing, duplicate content, mirror pages etc. These activities will be very risky and search engine like Google do not accept. So prevent all these to achieve quick results. You can be banned on Google. Just follow the basic Google guidelines to improve your site quality and SEO. It can happen that your website domain is new and Google put your site into sandbox. So give your continuous honest effort and follow Google guidelines. Try to keep updated your site regularly with unique, fresh and relevant content that can be helpful for end users. And wait for few weeks to crawl and index the site properly by Google. Proper relevant content will help your site popular among people who are searching information. Also number of good and relevant back-links from repudiated sites will increase the chance of getting good ranking into the SE. Choosing right keywords for your business website is a prime factor. You can use Google keyword tool to find out the search volume and completion along with keyword suggestions. Including relevant 1-2 keywords into the Meta title tag can help Search engine spider like Googlebot to crawl and index your site properly within a minimum time-frame and thus you can get good result into the search engine result page. Also you should follow Google guidelines in-terms of meta tags characters. Do not use so many keywords into there. URL modification is very important in SEO. Adding important and relevant keywords according to your page subject is very essential to describe the page for Googlebot or any other SE spider. Also the URL should be canonically ok.
Google internal linking of your website pages will help to crawl and index all the pages into the site. Search engine like Google find it helpful if a site properly linked with all it’s pages and URLs. Your XML sitemap should be properly added into Google webmaster account. All your SEO activities should be focus for end customers or viewers so that they can get benefited in respect of their Search quires and not for getting ranking and traffic from Google. Also do not spam in any way. Above mentioned information are some important methods that should be following to get good results in any SEO campaign. 1st you need to follow the basics and then go for the advance techniques. Try to follow SEO before building your site. If not then at-least keep your website flexible to do basic and important SEO changes from coding to content to link. Also you need to keep yourself updated with the changes in Google algorithm and latest trends. 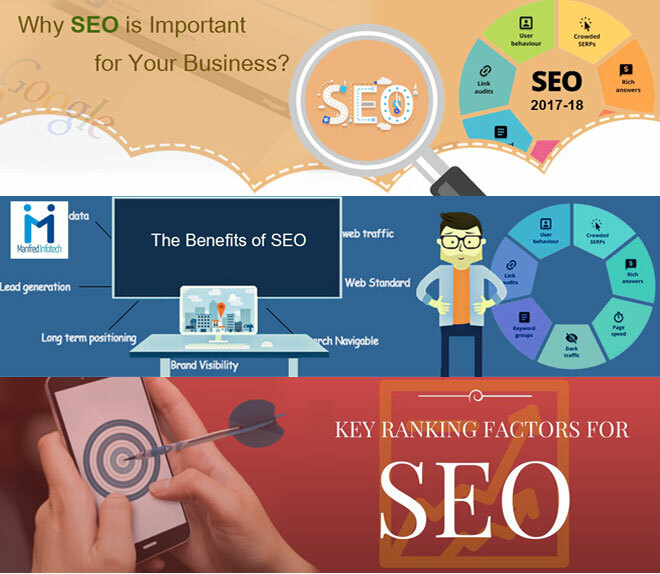 These are some essential parts for implementing a proper SEO for your business to take it with new heights. Also search Google for 2018 SEO changes and updates so that you can be prepared always. Hire any Search Engine Optimization (SEO) company to handle your campaign properly.